The study of Quantitative EEGs and Neurofeedback offer a window into brain physiology and function via computer and statistical analyses, suggesting innovative approaches to the improvement of attention, anxiety, mood and behavior. 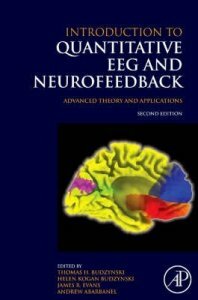 Resources for understanding what QEEG and Neurofeedback is, how they are used, and to what disorders and patients they can be applied are scarce, and this volume serves as an ideal tool for clinical researchers and practicing clinicians, providing a broad overview of the most interesting topics relating to the techniques. The revised coverage of advancements, new applications (e.g. Aspberger's, music therapy, LORETA, etc. ), and combinations of prior approaches make the second edition a necessary companion to the first.The top scholars in the field have been enlisted and contributions will offer both the breadth needed for an introductory scholar and the depth desired by a clinical professional. This title features: detailed new protocols for treatment of anxiety, depression, ADHD, and PTSD; newest protocol in Z-score training that enables clinicians to extend their practices; and, LORETA diagnostic tool that lets the clinician watch for changes deep in the brain through working with surface EEG patterns. New discoveries in the field of stem cell research have frequently appeared in the news and in scientific literature. Research in this area promises to lead to new therapies for cancer, heart disease, diabetes, and a wide variety of other diseases. 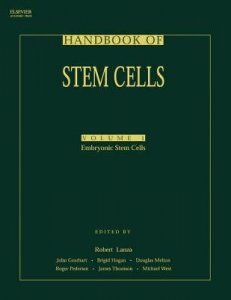 This two-volume reference integrates this exciting area of biology, combining the prerequisites for a general understanding of adult and embryonic stem cells, the tools, methods, and experimental protocols needed to study and characterize stem cells and progenitor populations, as well as a presentation by the world's experts of what is currently known about each specific organ system. The editors of the "Handbook of Stem Cells" include: Robert Lanza, Helen Blau, John Gearhart, Brigid Hogan, Douglas Melton, Malcolm Moore, Roger Pedersen, E. Donnall Thomas, James Thomson, Catherine Verfaillie, Irving Weissman, and Michael West. The Editorial Board includes: W. French Anderson, Peter Andrews, Anthony Atala, Jose Cibelli, Giulio Cossu, Robert Edwards, Martin Evans, Elaine Fuchs, Margaret Fuller, Fred Gage, Richard Gardner, Margaret Goodell, Ronald Green, William Haseltine, Joseph Itskovitz-Eldor, Rudolf Jaenisch, Ihor Lemischka, Dame Anne McLaren, Richard Mulligan, Stuart Orkin, Martin Pera, Benjamin Reubinoff, Janet Rossant, Hans Scholer, Austin Smith, Evan Snyder, Davor Solter, Alan Trounson, and Leonard Zon. 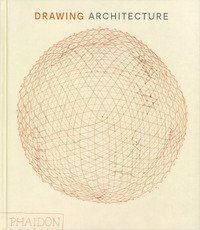 This comprehensive set should be a much-needed addition to the library of students and researchers alike. It provides comprehensive coverage on this highly topical subject. It contains contributions by the foremost authorities and premiere names in the field of stem cell research. The accompanying CD-ROM includes over 250 color figures.